To date, efforts to advocate for a wage theft ordinance focus exclusively on its economic benefits, but the topic has not been viewed through a public health lens. 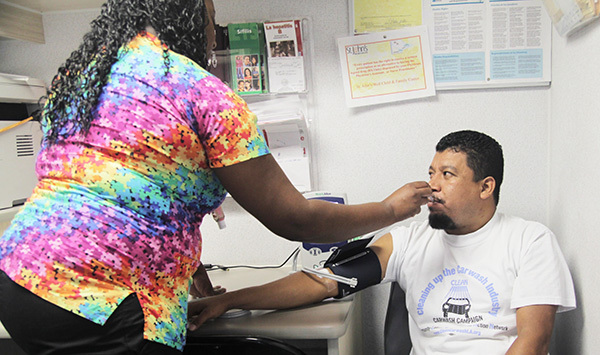 In fall 2013, Human Impact Partners and the coalition initiated a Health Impact Assessment (HIA) exploring the extent to which the proposed ordinance provisions would impact the health of workers and their families. An HIA is a systematic tool that draws on a range of data sources, research, and stakeholder input to increase understanding of how a program or policy will impact the health of the community, and increase consideration of health and equity in decision-making. Workers lose an average of $2,070 annually. Low income leads to poor living conditions, impeding workers from affording safe and quality housing, maintaining food security, and other living necessities. Inadequate living conditions produce high levels of stress. Wage theft reduces income necessary to provide for the family, resulting in children less likely to succeed in school and more likely to experience developmental delays. Increased levels of stress leave workers feeling anxious, worried, and often times depressed. High levels of stress result in poor sleeping patterns—sleep deprivation also leads to poor mental and socio-emotional health. Stress harms family connections. The combination of a poor sense of self-sufficiency, poor living conditions, and high levels of stress taxes relationships with spouses or partners and children; this leads to poor family well-being.